Plan your weekend out with a look at all of the trailers for this weekend’s new releases and Grand Rapids showtimes. 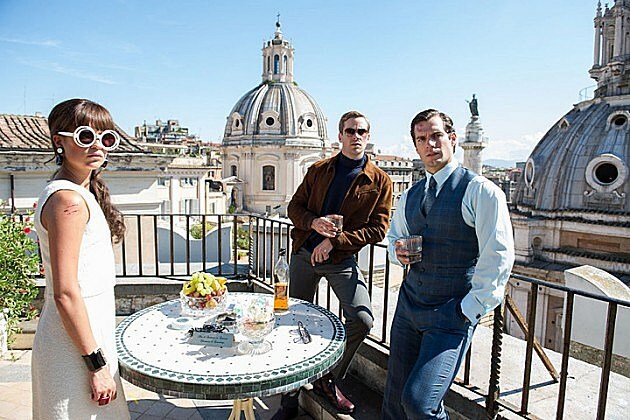 Starring: Henry Cavill, Armie Hammer and Alicia Vikander. Starring: Rosamund Pike, Shiloh Fernandez and Nick Nolte. Starring: O’Shea Jackson Jr., Corey Hawkins and Jason Mitchell. Starring: Stephen Lang, Brittany Curran and Gage Golightly. A lonely college freshman’s life is turned upside down by her impetuous, adventurous soon-to-be stepsister. Starring: Greta Gerwig, Charlie Gillette and Lola Kirke. Directed by James C. Strouse. Starring: Jemaine Clement, Regina King and Jessica Williams. Directed by Shari Spring Bergman and Robert Pulcini. Starring: Ethan Hawke, Hailee Steinfeld and Asa Butterfield. A grieving man meets his lover’s family, who were not aware of their son’s sexual orientation. Starring: Xavier Dolan, Pierre-Yves Cardinal and Lise Roy. Starring: Phillip Rhee, Beau Bridges and Mirelly Taylor.